You sent your only Son, Jesus Christ the Messiah, to fulfill all your promises: Give me new life in him. Lord, give us the strength to enter through the "narrow door" to Your eternal kingdom. Give us the will to divest ourselves of those temporal concerns that have no value in Your heavenly realm. Impress on us the desire to store up righteous deeds that will be the "silver and gold" that will not perish in the purification of Your fiery love but will be recorded in Your Book of Deeds to be recounted at our judgment. 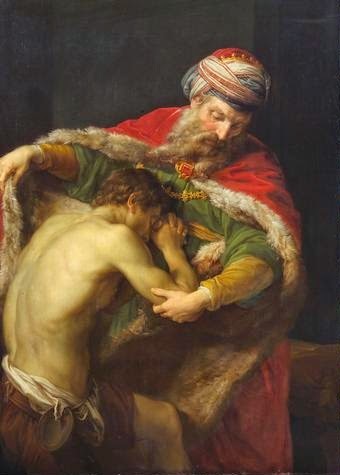 Most of all, Lord, give us the heart of Jesus, to love as He loved, Send us Your Spirit to guide us in our study of Jesus' last days of teaching as He continues to call the lost sheep of the house of Israel to repentance and salvation. We pray in the name of God the Father, the Son, and the Holy Spirit. Amen.